The excitement of closing on your first home is a moment you’ll remember for the rest of your life. But the experience can also be stressful. The last thing you want to do is add to the stress by worrying about how to keep your new home safe. If you previously lived in apartment or condo, you may never have had to worry about handling home security before. Learn the basics of keeping your new house safe with our important home security tips! One major benefit of modern homebuying is the ease of finding information about each home for sale. Not only can you quickly see home values and school districts, many modern listing websites include crime statistics for the area. Being aware of the crime activity lets you find safer areas to live in, as well as helping you decide what security measures you may need when you close on a house. Meeting with the people who would be your neighbors can give you important insight into the community. Introducing yourself can give you a brief chance to get a feel for the types of personalities in the area too. If you do decide to move into the neighborhood, you’ll want to be familiar with the faces and personalities around you. Not to mention your neighbors can be helpful for keeping your home safe during the holidays! The current state of the neighborhood is also a great indicator of what to expect from the community. Well-maintained lawns, clean streets and good lighting can indicate a safe area where everyone keeps an eye out. Depending on the area, consider walking through at night, to see how safe you feel and what kind of activity you see. The first thing you need to do is change the locks. It’s impossible for you to know how many copies of the previous owner’s keys exist or who has them. If the previous owner left an emergency key around the home that you’re not aware of, it could be a major security risk. Does your new home have keypad access to the garage? Make sure to change the code. You may need to contact the manufacturer to get the instructions, but this is just as critical as changing the door locks. In addition to changing the locks, you need to make sure every point of entry into your home is secured. Test each window to make sure the locks work, even upstairs windows. If you have a crawlspace, make sure it’s properly secured as well. Knowing where all your entry points are will help with installing surveillance cameras! While the average homeowner can do basic security checks, nothing beats the experience of security professional. Not only can they help you identify subtle security risks in your home, they can also recommend the ideal system to give you maximum protection. Another added benefit is a monitored security system in your home can save up to 20% on your home insurance. Fill out our form online to schedule a free security evaluation with a Habitec Security consultant. This security audit is an appropriate time to plan for emergencies. During your home walkthrough, note the location of each smoke or carbon monoxide detector. Make sure they’re functional, or even take the opportunity now to replace their batteries. If you’re a parent, take this time to teach your child important home safety tips to keep them prepared in case of a fire or other emergencies. It’s impossible to be physically present in your home all day, every day of the year. But a monitored home security system can help you keep a close eye on it. With Habitec Security’s 24/7 local monitoring, our dispatchers make sure you’re safe and can contact emergency services to ensure a quick response if needed. The dispatchers are highly-trained to respond in any alarm situation. 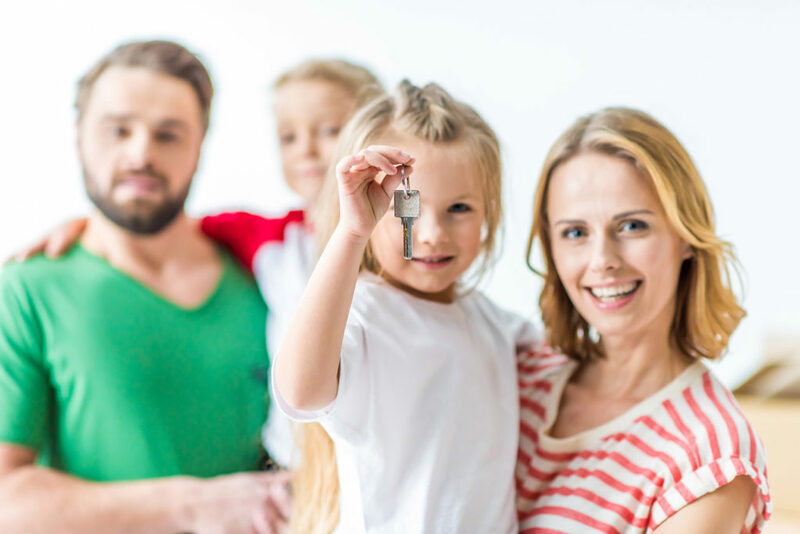 Keep Your Family Safe – Schedule a Security Evaluation Today! If you’re purchasing or recently purchased your first home, our security experts can design a system for your security needs and backed by award-winning, 24-hour local monitoring. Contact us today!